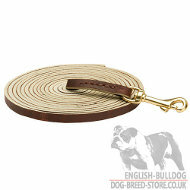 This wire muzzle is intended for walking your American Bulldog with convenience and safety. The main advantage of the wire dog muzzle is that it was designed according to Bulldog's snout structure, so your dog will feel maximum comfort with the muzzle on. 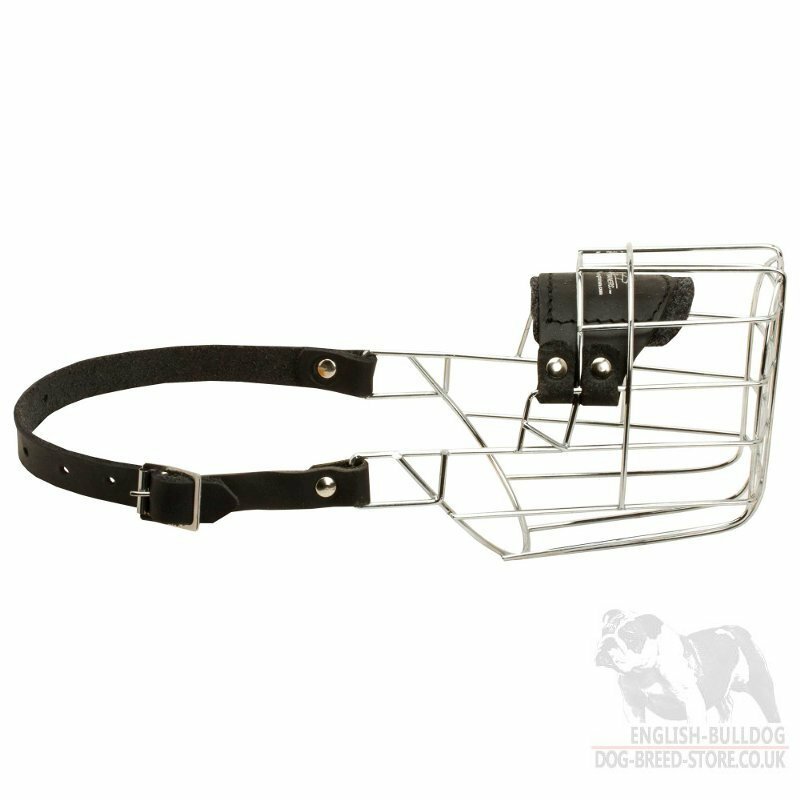 Moreover, our wire dog muzzle is light-weighted and has enough free space to allow your Bully breathing, barking, drinking water and opening its mouth freely! 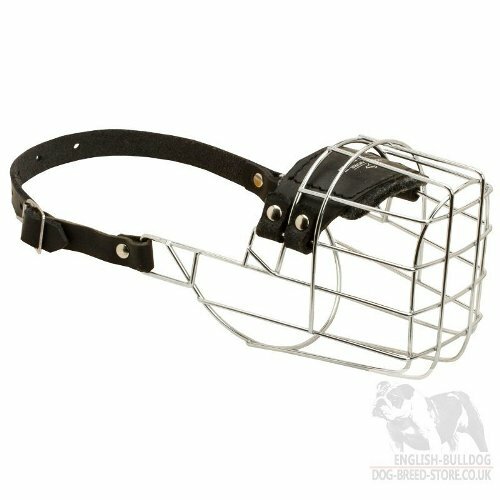 Be sure, this basket dog muzzle is the best dog outfit in the world market of the dog products! 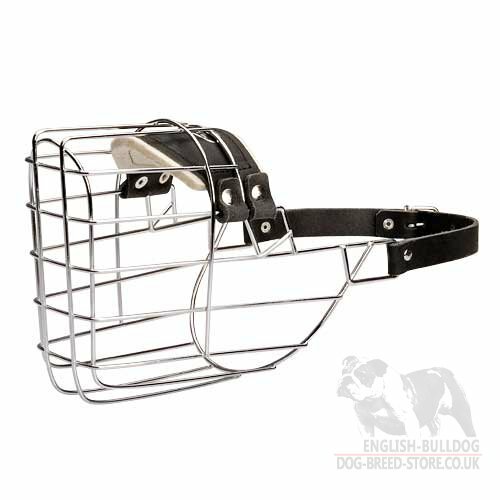 Our basket dog muzzle is made of stainless steel smooth wire, the construction is very strong to maintain the shape and to provide a long-term use of the muzzle. 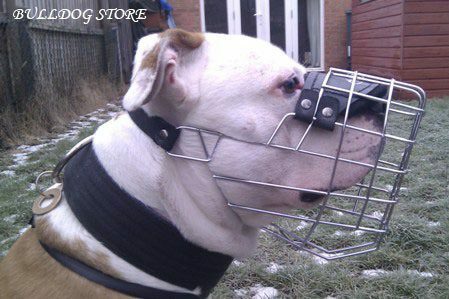 Nose area of the basket dog muzzle is padded with soft felt to prevent rubbing. 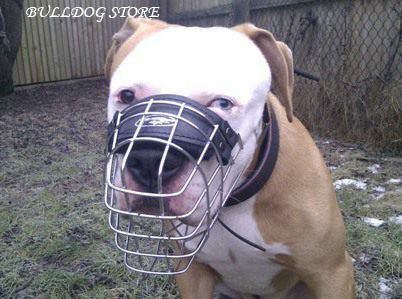 This dog muzzle is well-fitting, it won't slide and it's very difficult for Bulldog to take it off. 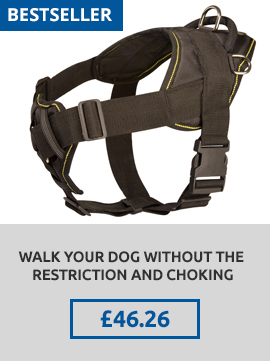 It is also very practical dog gear for American Bulldog safe walking, off leash training, stop biting, picking up, eating from the ground and vet visiting. 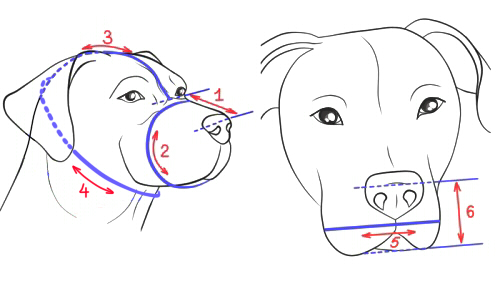 If you are not sure what type of muzzle will fit your dog, please, contact us and write your dog's breed, age and sizes. 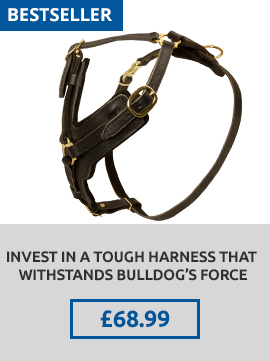 We will help you to choose the right muzzle for your Bulldog. 1. Hello! Thanks for the great dog muzzle! Received on time. I'm satisfied! I will continue to use your service. The muzzle came and it fits!! 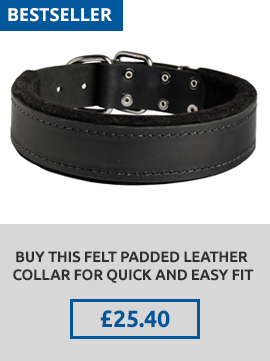 Thank you – we have finally found the very thing! The muzzle came and it fits! !